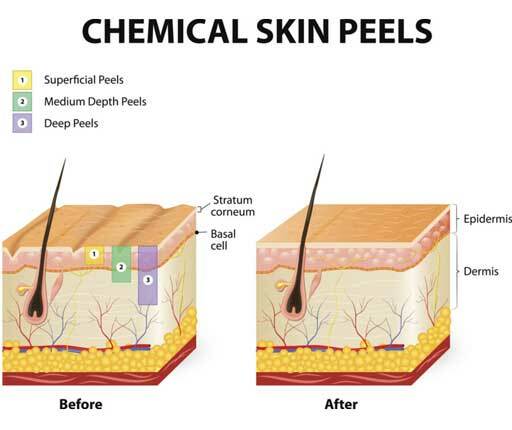 Chemical Peel Treatment, a controlled usage of a chemical solution with various strength, assist us in the shedding and exfoliating superficially or deeper depth of our skin. It can be helpful for individuals with acne, wrinkles, uneven skin tone, pigmentation, melasma, and even soften acne scars. We shed our skin every day. Old skin is replaced with new skin every 2-4 weeks. It improves our skin health and even makes our skin look younger. However, as we age this natural shedding process slows down or stop to due various reasons (such as dry/oily skin, sun damage, skin disorder, genetics) resulting in dull, uneven skin tone, clogged pores, and most common acne. 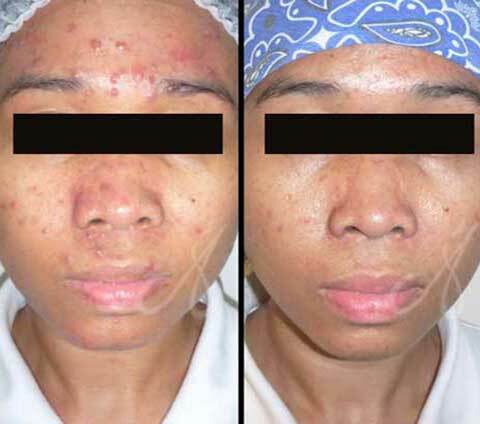 Smooth & Bright is Alainn’s most popular Chemical Peel Treatment offered. It is suitable for all skin type, improves skin radiant, clarity and brightness through exfoliation. Plus it promotes even complexion and smoother skin. For those with mild and moderate pigmentation or acne, our signature Citrus Peel is the one of the Chemical Peel Treatment you’ve been looking for! Research has found bright coloured citrus fruits such as orange, lemon and lime help to improve your skin tone and texture, giving it a healthy glow. 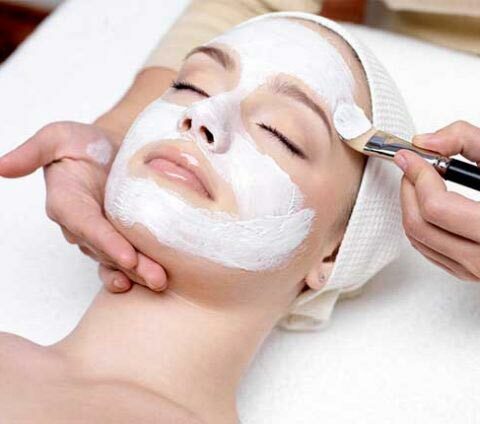 Glow Peel can exfoliates and removes dead skin cells, stimulates the renewal of the skin, diminishes the appearance of pores, lightens and evens the skin tone. The Glow Peel Facial uses a specialised chemical peel treatment formula to achieve fairer skin through gentle exfoliation. This is one of the Signature Facials that we offer at Alainn to help you achieve a more radiant and glowing skin rejuvenation. 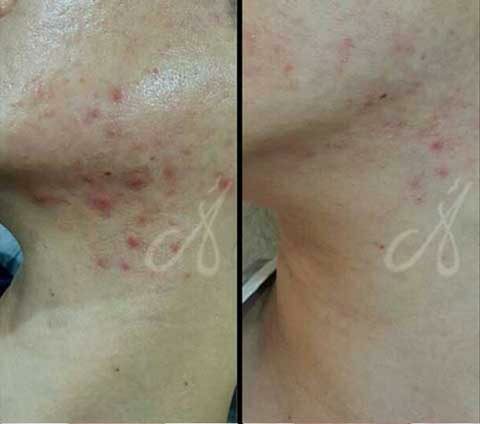 Alainn’s Zero Zit Peel treatment can help reduce mild to moderate acne and lighten the acne PIH (Post Inflammatory Hyperpigmentation) marks. 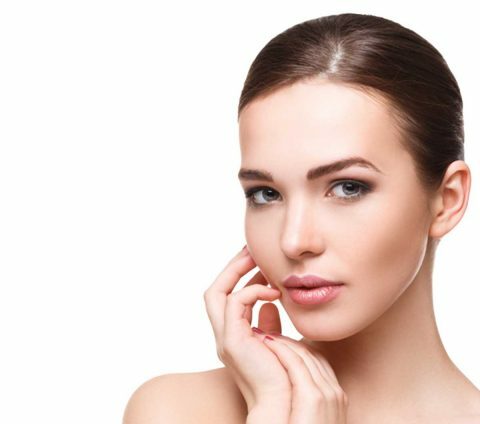 There are no real shortcuts when it comes to skin rejuvenation, especially in cases of acne and old-acne scars. It has been over a year since Elaine started her skin treatment journey with us. Her commitment to her scheduled appointments and treatment plans given by Dr. Ain , followed by her self-discipline in proper skin care regime at home has led her to better and healthier skin condition.